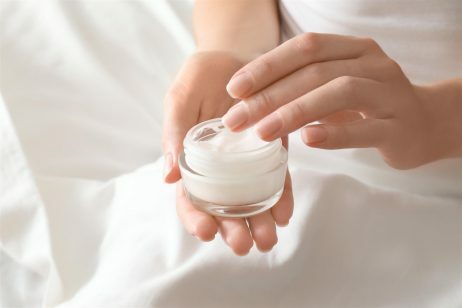 Potassium sorbate is a mild preservative that is used in a variety of cosmetics and personal care products in order to extend the shelf-life by preventing microbial contamination, often as a paraben alternative. Potassium sorbate is the potassium salt of sorbic acid, a natural compound found in berries of the mountain ash tree, Sorbus aucuparia. Even though natural sources of this ingredient exist, nearly all of the world’s production of sorbic acid is manufactured synthetically. Potassium sorbate is produced industrially by neutralizing sorbic acid with potassium hydroxide. The synthetic version is a nature-identical compound chemically equivalent to the molecule found in nature. Potassium sorbate occurs as a white crystalline powder, white granules, or pellets. It readily dissolves in water where it converts to sorbic acid, its active form, at a low pH. Sorbic acid is very pH dependent. In chemistry, pH stands for ‘potential hydrogen’ and it refers to the level of acidity or alkalinity in a given solution. The pH scale ranges from 0 to 14. A pH of 7 is neutral, while a pH less than 7 is acidic and a pH greater than 7 is basic. Sorbic acid demonstrates some activity up to pH 6 (about 6%), but it is most active at pH 4.4 (70%). Potassium sorbate is predominantly used as a food preservative. It inhibits the growth of molds and yeasts in many foods, such as cheese, wine, yogurt, dried meats, soft drinks, and baked goods. 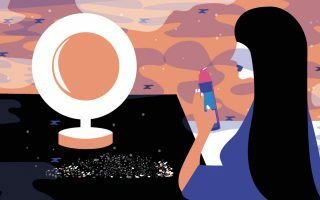 These same preservative properties can be used to extend the shelf-life of cosmetics and personal care products. It is used in cosmetics at concentrations up to 1%. While potassium sorbate is effective against fungi, mold, and yeast, it is less active against bacteria. Therefore, potassium sorbate is not considered a broad spectrum preservative and it must be used in conjunction with other preservatives to ensure formulas are protected. The Food and Drug Administration (FDA) reviewed the safety of potassium sorbate and determined that this ingredient is Generally Recognized As Safe (GRAS) as a preservative for direct addition to food. The safety of potassium sorbate has been assessed by the Cosmetic Ingredient Review (CIR) Expert Panel. The CIR Expert Panel evaluated the scientific data and concluded that potassium sorbate was safe for use in cosmetics and personal care products. Tests were done using up to 10% potassium sorbate (much higher than the concentrations used in cosmetic products). At this concentration, potassium sorbate was non-irritating to the eye and was only slightly irritating to skin. In 2006, as part of the scheduled re-evaluation of ingredients, the CIR Expert Panel considered available new data on these ingredients and reaffirmed the above conclusion. According to EWG, potassium sorbate is rated as a 3 on a scale of 1 to 10, with 1 being the lowest risk to health and 10 being the highest. Some people may have allergic reactions to potassium sorbate. Although this allergy is rare, those that are allergic to potassium sorbate must avoid this ingredient to prevent hypersensitivity reactions. References: Wikipedia, “Potassium Sorbate”, LotionCrafter, “Potassium Sorbate”, Truth In Aging, “Potassium Sorbate”, Cosmetics Info, “Potassium Sorbate”, EWG’s Skin Deep Cosmetic Database, “Potassium Sorbate”, Toxicology Data Network, “Sorbic Acid”.